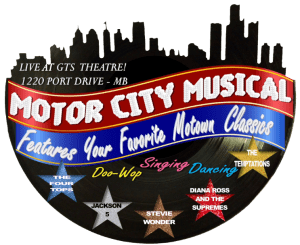 Enjoy an evening of soulful entertainment, as you embark on a musical journey through the history of Motown, a genre that broke down social barriers and infused music of the 60’s and 70’s with life and rhythm. Tap your feet to the music as the story unfolds with the history of Motown. Motown crushed barricades, changed lives, and had all of America moving to the same beats. Follow one man’s dream that turned into everyone’s music. Bring your courage and sing along with the entire show, featuring hits from all the musical titans of the 60s and 70s. This musical cabaret revue features dynamic and exciting performances. Prepare to start “Dancing in the Streets,” celebrating the music and musicians of a powerful era, including Diana Ross, The Four Tops, Martha & the Vandellas, Stevie Wonder, Temptations, Marvin Gaye, Jackson 5, Lionel Richie, Gladys Knight and many more! Note: This discount is not available over the phone or at the box office. It’s only available ONLINE! You will not need to print your tickets. You may show the tickets on your phone. All Seating is first come first ordered. The earlier you book your tickets the better the seats you will have. Always arrive to GTS Theatre at least 25 minutes prior to showtime. This was absolutely awesome. I am so glad we were able to see this memorable show. We knew the words to every song. We sang and danced and locked arms with people sitting next to us and reminisced. I saw y brother throw his head back an laugh out loud-the highlight of the evening for me. I am celebrating an august birthday and was in the group brought up front for the singing happy birthday moment. It was very special. I cannot remember when i had so much fun and it wad apparent that everyone in the room was having the same experience. Tip: This musical show should be advertised more. I been to mb every year for at least 10 years and never new about this theater. Please get some info in the hotels and resorts so folks will know about this show. I learned of this by a co-corker who had just been to the show. Now i’m telling everyone about it.